Oil & Filter: How Often Should You Change Them? If you’ve ever maintained your own vehicle, you may remember the old standard rule to change the oil and filter every 3,000 miles. However, if you check the owner’s manual of most of today’s vehicles, you’ll probably find the manufacturer recommends that, with the exception of “severe driving conditions,” oil changes can be stretched safely to every 7,500 miles or once a year. The manufacturer also probably recommends a new oil filter with every second oil change. Making frequent, short trips of less than fives miles. Making frequent, short trips of less than 10 miles when temperatures are below freezing. 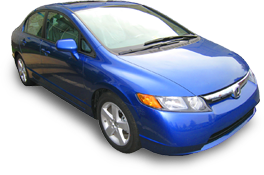 Extensive idling and/or low-speed driving for long periods of time (taxi, police, door-to-door delivery, etc.). Driving in areas with heavy dust (gravel roads, construction zones, and so on). Under this definition, few drivers in a congested metropolitan area qualify as NOT driving in severe driving conditions. Our advice? With the longevity of your car in mind, we recommend following the advice of the mechanics of generations past: If you use regular oil in your vehicle, change the oil and filter every 3,000 miles or three months. 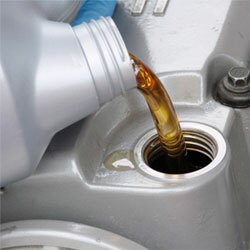 If you use synthetic oil, change the oil every 5,000 miles or every five months. It’s the most economical, most effective preventive maintenance you can give your vehicle.